The hotel is suited for business hotel stays in London, as well as leisure stays, with 4 flexible meeting rooms for events or conferences for up to 60 people with AV equipment and a dedicated host. Enjoy internet access throughout the hotel. Mercure London Bridge is perfectly located for some London shopping, a cultured day out or some London sightseeing, being situated on Southwark Street, only 8 minutes from Borough Market and an 11 minute walk to London Bridge Station. 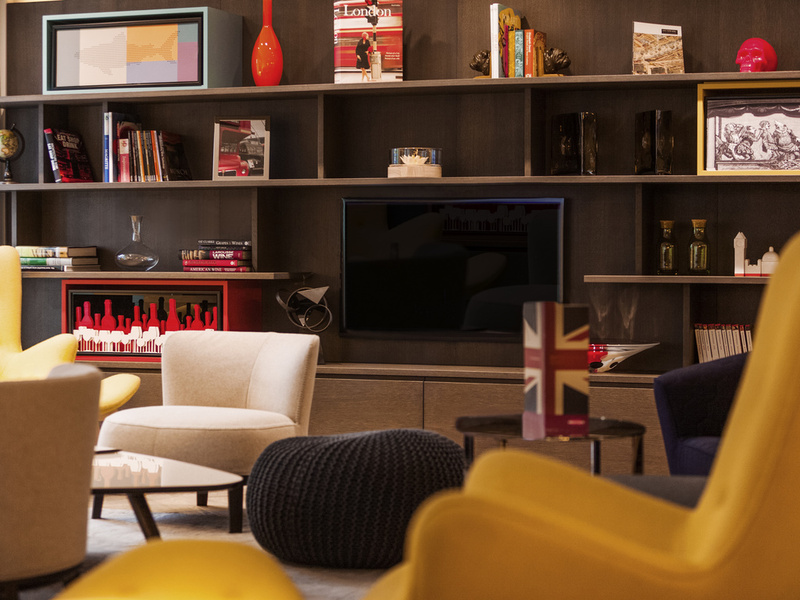 Enjoy some London sightseeing when you stay at Mercure London Bridge, whether it is for leisure of for a business trip, enjoy a city break with Mercure. Located near London Bridge and Southbank tube stations for easy access to the rest of London. The hotel's 144 bedrooms offer guests a range of accommodation options including classic rooms, privilege rooms, suites, interconnecting rooms and five accessible rooms. All bedrooms are non-smoking and have WiFi access, 24-hour room service, hair dryer, safe, ironing facilities, flatscreen TV with international channels, complimentary toiletries, and tea and coffee making facilities. With Marco's Italian heritage, the New York Italian brings a twist on traditional Italian cuisine by combining the taste of America with inspirational flavours from the Mediterranean. Simple food done well. With Bankside now one of the trendiest parts of London and home to a burgeoning foodie scene, The Loft Bar and glassed roof atrium presents an idyllic setting in which to enjoy our extensive wine menu. Room and overall facilities were fine, but very disappointed with the restaurant. Thinking that it would be good given that it bears the name of Marco Pierre White, it was a total letdown. The food was very poor - the calamari was a travesty - and the service was pretty lax - my empty plates were left in front of me for at least 15 mins. Lovely, it's not the first time I stay in this hotel, but it's always enjoyable. Everything is Ok but with 2 concerns: 1. Shower has very small water volume; 2. Air-conditioning seems not working. Upgraded room - nice and quiet. Comfortable bed but pillows a bit lumpy - choice of pillows would be good. Also no way of plugging sink in bathroom. Otherwise good. Staff very helpful. This is our 5th time of staying here and this was the first time we were on the 7th floor. I dislike lifts so took the stairs but it was a long way up. The room with a small balcony was lovely but the bathroom looked dirty with a yellow drip condensation marks on the ceiling and the dressing gown hanging behind the door did not look clean so we avoided touching it. Stayed for work and couldn't find a single fault. Good breakfast and a quiet room. It was a good experience, I enjoyed walking to work across London Bridge, breakfast was quiet if you dined early like I do. The room was nice and once window shut was quiet. High standard room and bathroom in comparison to Radisson. Beautiful contemporary hotel.Will definately be back to stay.